DIVAS WHO DINE's new digs. Ya dig? 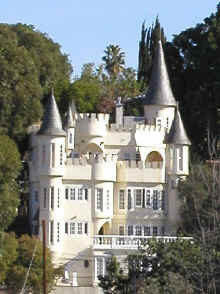 The team at DIVAS WHO DINE and I would like to introduce you to our new digs in the Hollywood Hills in Los Angeles. Our new home is called Castle Ivar (http://www.castleivar.com/) and it’s fittingly situated across the street from one of Marilyn Monroe’s former homes and Justin Timberlake lives up the road. Right now is the perfect time to get out of my sweats and mommy-gear and into my heels and party clothes as we prepare for the upcoming DIVA events. Coming soon… Miami, we haven’t forgotten about you! We’re putting together something ultra cool and fabulous for you so stay tuned. In the meantime, please go to http://www.divaswhodine.com/ to join our mailing list.